Check out some of our awesome clients and partners below! Vivint Smart Home is the leading smart home services provider in North America. Dedicated to redefining the home experience with intelligent products and services, Vivint is helping more than one million customers create simple, affordable smart homes. The on-demand technology learning platform you count on to stay relevant, with tools that measure your skills and solve your problems—faster. Seva has partnered with Pluralsight to add technical training resources to keep our engineers "relevant" and up to date on all the latest skills and technologies. Automatic photo books for only $8 per book. Print your Instagram, Facebook and Phone Photos, or upload photos into our mobile or desktop apps. Set up a Photo Book Series, then forget about it: photos you post on social media or choose from your phone will be added in automatically. Pixel Lab is an award winning design and development studio in Seattle. Their clients include high profile companies like Disney, Google, Microsoft, BMW, Evernote, the Bill land Melinda Gates Foundation and many others. CHOICE Humanitarian – ‘The Center for Humanitarian Outreach and Inter-Cultural Exchange’, is a strategic non-governmental agency (NGO) currently working in five countries, Kenya, Nepal, Bolivia, Guatemala and Mexico. Our overriding goal is to end extreme poverty and improve quality of life through a bottom-up, self-developing village-centered approach. 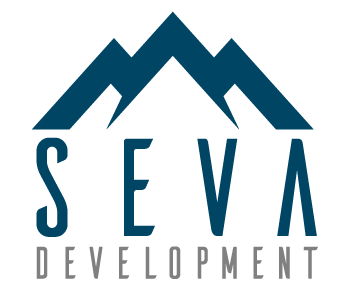 While Seva Development is a relatively new venture, we are committed to providing quality testing services and are eager to add your logo here!